"Ka-Ching! Face Paint Your Way to Extra Cash!" I recently was quoted in a magazine article. Normally I'm really excited when this happens, but this particular article I had some mixed feelings with. I was contacted back in February 2015 by a reporter from Woman's World. 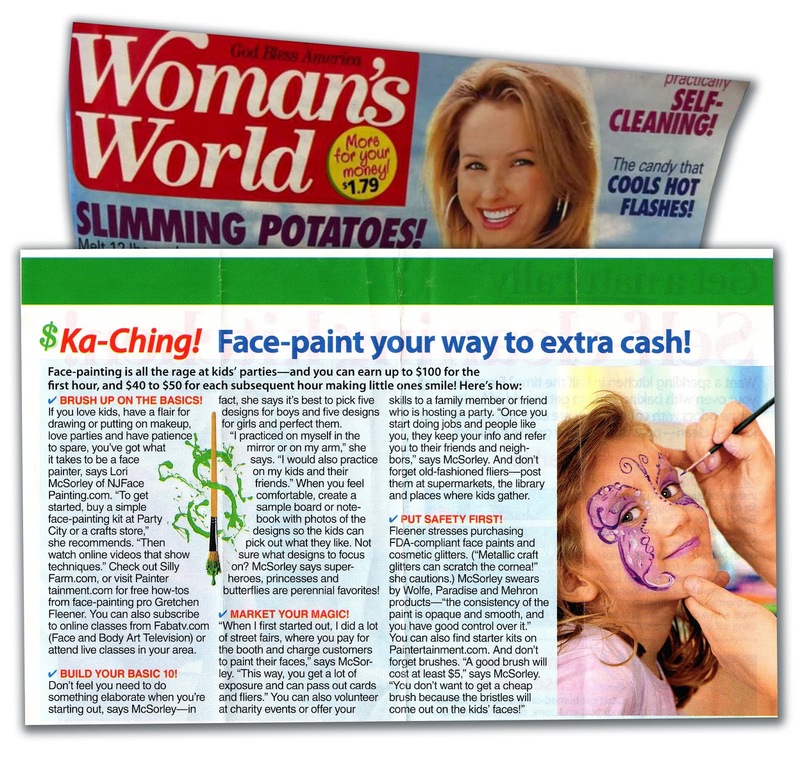 She stated, "...I'm doing a piece for Woman's World on how to make extra money as a face painter and wonder if you'd be available for a brief interview...."
Hmm..."extra money?" These words made me fear that this article may go in a direction that I and other professional face painters may not like. I had two reactions. First, "Don't reply...you do NOT want your name attached to this." Then, "Hey, this might actually be a great opportunity to build up the credibility of our profession and really give aspiring face painters good advice." First, let me mention that I have NO problem with competition...good, healthy competition makes us all better!! The other artists in our area will even tell you that I LOVE getting to know my "competition," love to jam with them, learn with them, and LOVE to help out new face painters! That itself is clear from my website too, which may be why I was contacted. So, my reaction has nothing to do with that aspect...but about building up my fellow painters and our profession. - Face painting is something people just do "on the side" for "extra cash." My response was a really lengthy email that I will paste below so you can see my attempts to spread the word about our profession. I actually had to think about this for 2 days before I finally replied because I wanted to be really careful that I wouldn't come across as endorsing the above points and make it clear that my participation hinged on how things were presented. But more importantly, I wanted to make sure to take this opportunity to actually educate the public about what it really takes to be a good face painter without making a lot of local enemies! This is why I said that I would agree to an interview ONLY if they were not portraying face painting in this "extra cash" light. There are many, many face painters out there who have a solid career in this field, and even support their families on face painting alone. I know you’re aiming you article at moms who want to do it on the side, which is great, as most professional face painters start in this way! But, it’s really important to dot some i’s and cross some t’s along the way…. 1 - Those who paint for free or cheap for charity, school & church functions, and may charge a little money to paint for some birthday parties here and there…they buy a set of paints, whatever they can find cheap at the craft store, and do it more as a hobby for some extra cash…in our area these artists are anywhere from free to $50 per hour. 2 - These are artists who also do face painting on the side for extra cash, but treat face painting as a legitimate business, not just a hobby. At a very minimum, they invest in FDA compliant face paints and cosmetic glitters, and they purchase liability insurance for their business. If they really want to do well at it, they invest time and money in publications, conferences, workshops, certifications, and subscriptions to online learning (like www.fabatv.com). These artists typically charge as low as $75 for a brand new artist, to $200 per hour. Most in my area are around $100-$175 per hour but it depends on the market somewhat. Many who fall in category 1 simply don’t think about these things. They aren’t aware that by charging so little, their “extra cash” is actually eating into someone else’s only paycheck. They don’t make much at it, so they can’t justify putting in the needed investment in quality, safe supplies and insurance. Sadly, many even use homemade face paint with things that are not meant to be worn on the skin for a long period of time, or worse yet, they use tempera, acrylic or other “non toxic” craft paints which can cause horrible reactions. Here’s a blog post with more info on that topic and why it’s SO important to use the right products: http://paintertainment.blogspot.com/2011/10/paintertainment-faq-is-any-non-toxic.html Our kids’ health and safety is worth a little research for sure! Over time they can learn, of course, but in the meantime, we are left to pick up the pieces, get our clients back, and remind them why they get what they pay for. - Research what the going rate is in their market and charge in that range. If you want to be cheaper because you are new, let your clients know that this is an introductory rate while you get some experience, and then raise your rates as you get better. - Purchase liability insurance as soon as you can afford it, at least if you expect to keep face painting, because many larger events actually require this for you to paint. I absolutely love to help out beginners to get them the right start!! In fact, years ago when I opened my online store I put together a little starter set that has a small palette of quality, FDA compliant paints (that can be re-filled, unlike the cheap ones at the craft stores), brushes, a sheet of designs, and a book I wrote full of tips for those who have never painted a face. It was meant as a solution to those who either couldn’t afford to hire me, or had been asked to volunteer at their kid’s school and didn’t know where to start. It gives them a great start with safe supplies and helpful instructions: http://www.paintertainment.com/StorePackageDeals.html If you scroll down to the next package deal, this is what I recommend for those really wanting to turn this into a real business. Beginners also will find a wealth of FREE information on my “learn” page, http://www.paintertainment.com/Learn.html …and by subscribing to my free monthly e-newsletters. Anyway, if this sounds like the direction your article will be going in, I’d love to do an interview! ....."
I thought I was pretty clear and thorough, and had my bases covered! Just 10 minutes after I sent this email, I was sent a reply that stated she had already interviewed another face painter, and she no longer needed to talk to me as she had enough information to use between the two of us. I was told that she would "focus on being a quality face painter," and that was that. 2 months later I saw a photo of this article show up on Facebook, shared by SillyFarm, since they too were mentioned in it. I was excited at first, and then saw the headline...I fount it to be really a punch in the gut to professional face painters in general. "...you can earn up to $100 for the first hour and $40 to $50 for each subsequent hour..." I've been painting professionally for 20 years, and not only have I never heard a price structure with a 60% discount for the 2nd hour, but on another note, I didn't even charge $100 per hour until I was going on 18 years of experience. Most painters actually require a 2 hour minimum, and I've never met an artist with such a strange structure as this. Secondly, a beginner face painter shouldn't be charging $100 per hour. While under-cutting is seriously frowned upon in our industry, a new painter should get to know her local competition and the going rates. She should start out at a rate that matches her experience and skill, make sure clients know that this is an introductory rate while she gains experience, and then work her way up to the going rate. It really does help EVERYONE in the market this way. "...buy a simple face-painting kit at Party City..." I would never recommend Party City for face paints. This is probably the place your most likely to find those super cheap "Made in China" sets that can't be refilled, which a little research will show you are less regulated and more likely to cause reactions. And the word "craft store" should not even be mentioned without clarifying that you should only buy actual face paint...too many beginners use tempera or acrylic which is dangerous! I WOULD recommend that if you go to a craft store, you look for Snazaroo because it at least is a legitimate, safe face paint. I often suggest that newbies and volunteers take their 40% off coupon to Michaels for a set of Snazaroo if they are on a super tight budget. Not the best, but still safe! Do street fairs and "get a lot of exposure." There it is, folks...the "e" word that makes us all throw up in our mouths a little bit. If you've been a professional face painter for a month you've gotten requests to work for "exposure." Unpaid gigs get you more unpaid gigs. There is nothing wrong with gaining exposure, we all need that! And I know the article mentions paying a booth fee to do this, it does not say we should paint for free which so many clients ask us to do. But, I suggest that you attend events yourself first and make sure they are actually well attended, and a place where people go intending to spend money on their kids, before you can even think about making a profit. Also, make SURE there are not already artists there painting!! Taking an established hourly paying gig from an artist who is there every year by offering it for free or offering to pay for a booth will gain you one mediocre gig and many local face painter enemies. Play nice, it really does pay off!! Okay, that about sums up my rant. I mainly just wanted my original email to get out there so that everyone can see all of my recommendations, not just the tiny snippet that was published. As you already know, I LOVE to help out new artists!! If you are a mom looking to start up face painting on the side, please feel free to email me any time. I would love to give you any advice and help needed, recommend a place to start with products, etc. Also, feel free to peruse my "learn" page which is FULL of sound advice and step-by-step's! 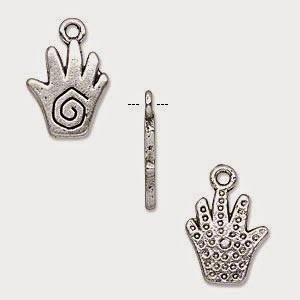 New Items Just Added: Invisible Glove and Belly Blessing Gifts! 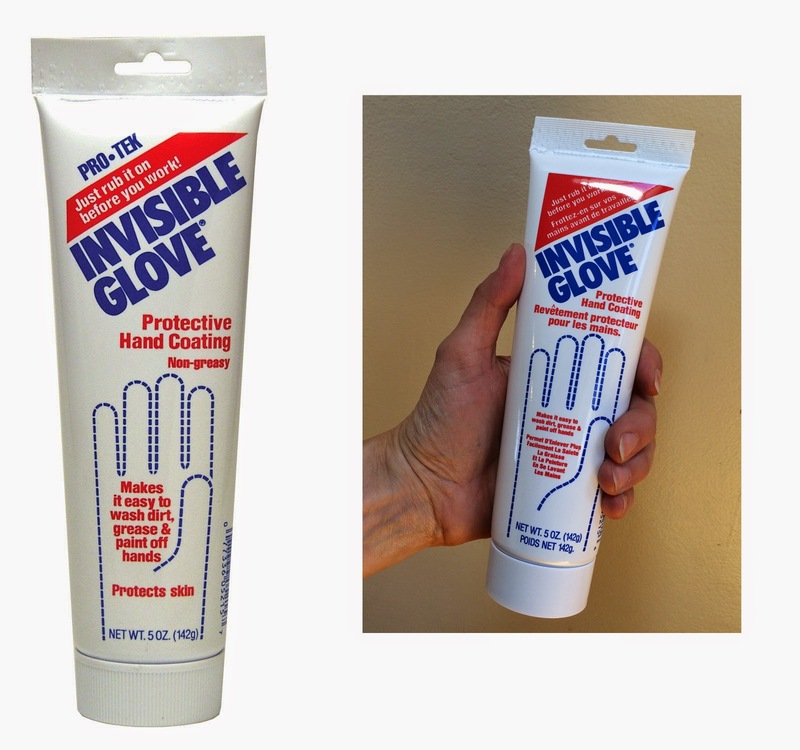 Invisible Glove works just like it's name describes! Apply it to your hands like a lotion before your gigs, and it will protect your skin and nails from being stained by paint. Finally a way to protect your hands without wearing an actual glove! When you're done, simply wash it of with soap and water, along with any paint on your hands. Comes in a large 5oz tube for $7.75. Have you ever done henna for a belly blessing, and seen each of the guests bring a charm for the mom-to-be? 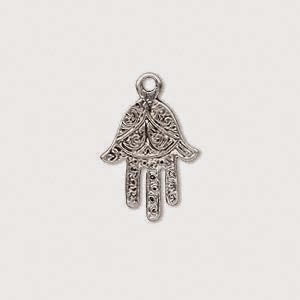 These little henna hand charms are the perfect little thank-you gift for your belly henna clients! We have an assortment of designs now available in the shop, ranging from $1.50 to $3.00 each. 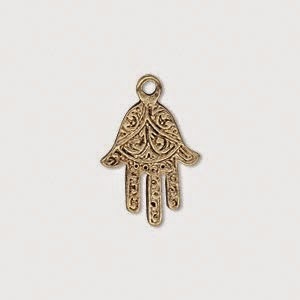 These charms are also perfect to turn into earrings to wear to your henna gigs! Looking for a cute way to package your henna client gift? 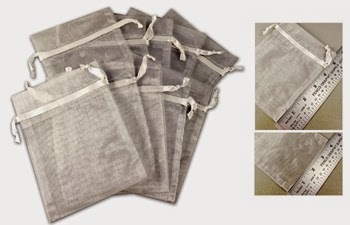 We now have these little silver organza bags for just $1.00 each. These are just the perfect size to hold a tube of henna balm, a charm, and a business card or personalized note! Thanks for stopping in! Happy painting!